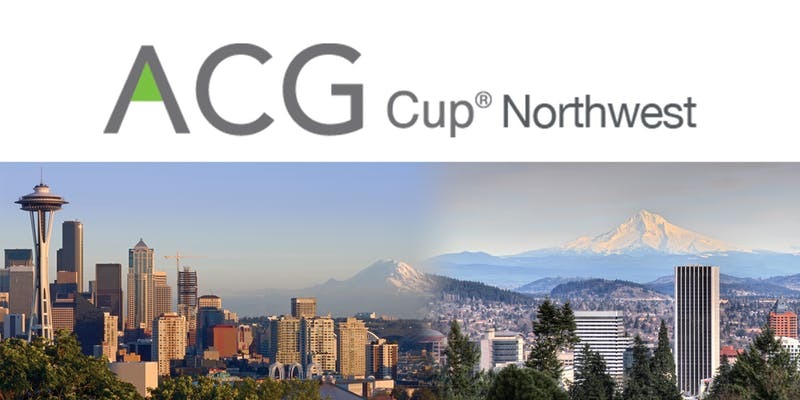 The Portland Chapter of the Association for Corporate Growth® (ACG) is pleased to announce ACG Cup® Northwest 2019, a ‘real world’ investment banking case study competition that will present up to $14,000 in cash awards to the winning teams of students representing top MBA as well as undergraduate and graduate finance programs from major Northwest universities. We invite and encourage anyone interested in the event to attend any part of the semi-finals in the morning, the finals in the afternoon and/or the award ceremony at no cost. Attendees that are not sponsors, sponsor guests, teams, university faculty, liaisons and committee members are also invited to attend the luncheon with a donation of $45.00 (cash or check) at the door the day of the event. We do need to have you register early for the luncheon so that we have an accurate count.